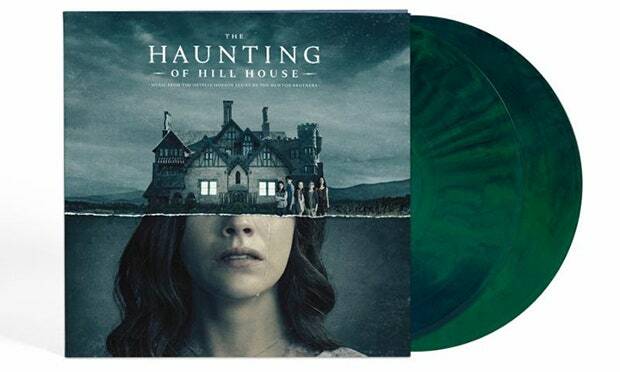 Netflix’s new original series “The Haunting of Hill House” has an original score by the Newton Brothers, and today, their soundtrack for the show has been announced. It’s out October 31 via Waxwork. The double LP is pressed onto “haunted green and blue swirl” vinyl—see the packaging below. The series, based on the Shirley Jackson novel, is directed by Mike Flanagan and stars Carla Gugino, Henry Thomas, and Michiel Huisman. Waxwork have also announced a 50th anniversary vinyl release of the soundtrack to George Romero’s Night of the Living Dead. The restored and remastered soundtrack is out on October 31.